As you’ve probably already guessed, an emergency fund is an account where you accumulate savings for when an unexpected crisis hits. A traditional savings account at your local bank is the best place to keep this money. You don’t want to keep a large amount of cash sitting around the house. Banks offer more safety for your money. In what instances should I use the emergency fund? You will use your emergency fund all the time. “All the time” for us has meant several times each year.We’ve used our emergency fund multiple times to replace appliances around the house, fund car repairs, fix heating and cooling units, and deal with medical expenses. For example, fixing a car so it can be driven to work is an emergency. You have to work to make money. Thus you have to fix the car no matter what. A malfunctioning furnace or a broken arm certainly qualify as candidates for emergency fun use. Issues such as fixing a broken dishwasher, replacing a faulty video game system or repairing an inoperative garage door do not qualify. Why are these circumstances different? The first three create immediate conflicts that alter life. The others create inconveniences that can be managed for a time until sufficient funds can be saved to correct the issue. One final note here – the emergency fund is also clearly not a late night pizza fund, an “I want that new couch” fund or a “Hey, let’s take a spur of the moment vacation” fund. Those are wants, not needs. To deal with these situations create a monthly budget or a more involved long-term savings plan. 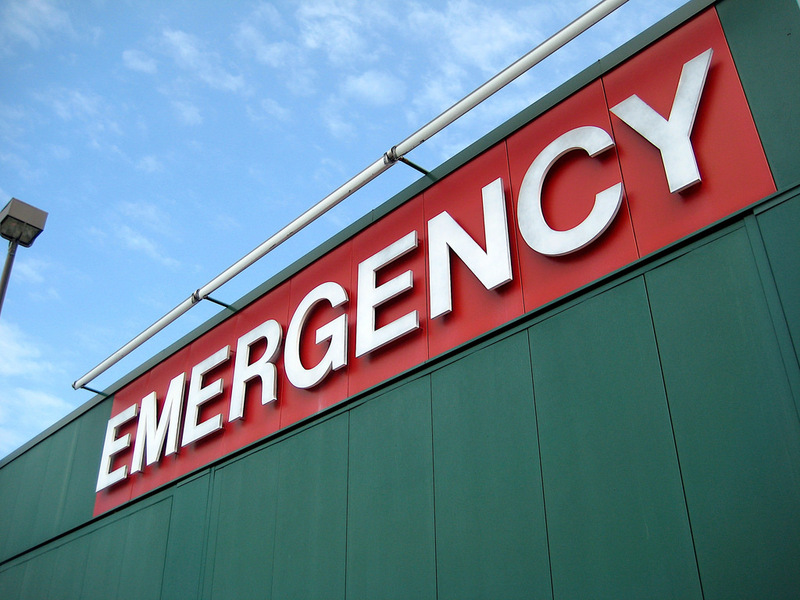 When should I start an emergency fund? This is simple. It’s the first step. All other issues are secondary. You simply must have funds available to manage a crisis or all other financial goals will fail. The emergency fund serves as the basic building block, the foundation of any sound financial plan. All other goals like paying off debt, saving for retirement or funding the kid’s college can come later. Once the money is saved to deal with a crisis, the funding of these other goals tends to pick up steam because you are no longer going into debt on your credit cards to handle the emergencies. How much should I save in the emergency fund? The answer to the above question depends on where you are in your financial journey. In the beginning, you should have at least $1,000-$2,000 saved. This amount provides enough of a cushion to cover most emergencies. Once this amount is accumulated, you can move on and aggressively pay down all non-mortgage debt. Increase the emergency fund to 3-6 months of expenses once the non-mortgage debt is paid. Any less than three months and there is a risk of not being funded enough should multiple emergencies hit in a close time span. Any more than six months and the risk is having too much money locked into a low interest paying asset instead of funding other investments (i.e the stock market) that would yield higher returns. We capped our emergency fund when we reached 3 months of total expenses. At that point we discontinued growing it and only ever fund it now to replenish what we’ve taken out for an emergency. We felt three months was adequate for our family because we have other investments to draw on to fund any crisis that might extend beyond three months. For someone with no other investments to draw on, I would recommend funding it to the 6 month limit. Now having that much in savings may feel frustrating for some. “Couldn’t that money be put to better use?” we ask. I know I’ve felt that way at times. To combat that I look at our emergency fund like I look at an insurance policy. I don’t like paying insurance premiums either but I know having insurance protects me from catastrophic events. And that’s a good thing. So like our personal insurance policies, the emergency fund serves as a sleep-well-at-night-fund. I’m relaxed knowing I have money for whatever emergency comes my way. How can I quickly build my fund? In order to build our emergency fund we started doing a monthly budget. We stuck to it with discipline and focus. The impact of our budget is that it helped us to spend less, which in turn caused our savings rate to skyrocket. Honestly, it was no trouble accumulating three months of expenses for our fund once we started doing a budget. Other ways to build the emergency fund quickly might be to sell some personal items, get a part-time job for a short time frame or cut unnecessary household expenditures like cable TV and eating out. In fact, if you do this right, you might be able to save one thousand dollars in just one month. Sound crazy? Click on the related content link below to see how it can be cone. What will this ultimately do for me? The biggest financial benefit to the emergency fund is that it keeps you from going into debt to solve each crisis. Having the ability to stay out of debt is key to reaching long-term financial goals. The biggest personal reward that comes from having an emergency fund is that it brings peace of mind. I can rest easy knowing that major life issues can be handled with cash. I don’t need to get all worked up and fuss over emergencies. All I need to do is handle them and move on. Your next emergency might be right around the corner. If you haven’t already, start your fund today. Questions: Do you have an emergency fund? How has it helped you? How much do you think a person should save in an emergency fund? What are some other great ways to build an emergency fund? Could not agree with you more, emergency funds are a huge life saver during sudden and emergency situations. And you are absolutely correct, having one could only be achieved by being wise in our expenditure by learning to make the difference between our needs and wants. Again, late to the conversation. I have three emergency funds. The first covers all deductibles and co-pays for health insurance, auto insurance and renters. This is at Betterment. I also have an old HSA and will be covered by one this coming September. This will be managed by my employer’s management company. The management company isn’t too happy with the Leg mandated HSA option; they make a mint of money off of the FSA deposits not used. They won’t make any off of the HSA’s, unless fees are incredibly high. I will roll my existing HSA into this new one. Once the deductible/co-pay amount reaches what is in my first account, I will re-purpose that money. The second is “last month’s paycheck” which stays in my checking account, earning 2.5% interest. It works out to just about two month’s of “my hair is on fire” basic monthly expenditures. The third is a long term fund. My desire is to get it to, and keep it at around 24K. That’s a bit over how much I would require to meet my basic needs for 1 year, should I get kicked to curb in a downsize and not have a monthly paycheck. This has not been easy and I need to slog away until the end of this year (2016) to realize the goals. Just knowing that that end is in sight gives me great comfort. I know that masses of money do not make for contentment: Jesus is my portion and my stay and I know He will always take care of me. It’s more that I am taking some responsibility for my life here on the planet. Great job Dee! Sounds like you are right on track. I agree money doesn’t bring contentment but having these emergency funds in place helps me sleep much easier at night. And it relieves the financial frustration when something breaks that you have to replace. Just get the cash out of the fund and fix it…no problem. Thanks for reading! Personally, I believe in Emergency Funds AND Set Aside Funds. The car repairs, appliance replacement, leaky roofs are really maintenance issues that can be planned for and budgeted. You don’t know EXACTLY when they’ll happen, but you generally have an idea that you’ll need to replace the washer and drier in 10 years, the roof in 10, 20, or 30 years (depending on what kind of roof and where you live.) So those things, I aim to set aside enough to deal with as they come up. The Emergency Fund is for the true emergency: a fire or earthquake, losing a job, etc. Both funds are essential. How much to put in both depends on each person’s situation. It’s great to get people thinking about this. Regardless of how you look at it, you want to have cash on hand to live life the way you want, without going into debt or being forced to liquidate investments. Right now I have $1,000 in my emergency fund and it has been a great help! Once all my other debt is gone, I plan on increasing that balance to 3 months worth of expenses. Sounds like you are right on track Lisa…Awesome job! I”m a big believer of emergency funds, Brian. They have been lifesavers for me personally as my husband lost his job during the Great Recession too and having a healthy emergency fund gave us peace of mind while my husband found another job. I have seen how the lack of one can completely undermine someone doing so well against their debt to the point where they give-up. There isn’t a one-size fits all as it whether you need a large emergency fund or a small depends a lot on how stable your income/job is and to an extent where you live. Sadly a $1000 won’t cover a month’s rent/mortage for most people in California. $1,000 is definitely only the starting point. It won’t cover those longer term issues like losing a job. I could not agree more Brian. Starting up an EF was the first thing, along with a very simple budget, the debt counselor I was working with had me do. She had me start with $500 and built out from there and worked fine for me as I was just a single guy at the time. Now, we’re actually closing in on six months and 12 months of mortgage payments. It’s a pretty big chunk of money, but with running our own business we never know when things may go south and want to be prepared for that if it does happen. “…closing in on six months and 12 months of mortgage payments.” Those are great numbers to have in your back pocket John! I think it’s wise for anyone running their own business to amp their E-fund numbers up a little higher. Having an emergency fund is so important. It’s more important than even paying off debt. If you don’t have any money for emergencies then you’ll just keep getting back in debt over and over again. “…keep getting back in debt over and over again. : Absolutely right Edwin! That’s the vicious cycle that has to be broken. We lived through a time when I was desperate to pay off credit card debt and threw every spare penny toward it. Then, inevitably, something would happen and I’d have to buy a new sump pump, or an unexpected car repair and guess what? I’d have to put the expense of the card because I’d put all spare cash toward the card. It was always two steps forward, one step back. I finally got smart and started building up an e-fund. I was still putting extra money toward the card, just not as much. Eventually the cards got paid off and the e-fund contributions got bigger and bigger. We are pretty much at a point where it stays stable, and if we have to use something from the fund, we are able to build it back up pretty quickly because of no debt. Can’t begin to say how much peace of mind having this fund creates. Thanks for that testimony Kathy. I think your experience is typical of what many people go through. Despite the difficulty, you worked through it eventually and now are in a much better place than you were before. You are the proof that it can be done. Nice job! Yes I have one and it’s a huge peace of mind for a freelancer, especially when work gets slow. How much is dependent on the individual’s situation. My idea number is 15k. I’m not there yet! I think that is a good number to shoot for. In your line of work, I wouldn’t mind it being a bit higher. It is so true that an emergency fund should be the first step. Of course even once you’ve got your fund and capped it, emergencies happen so over time you need a plan to rebuild it or keep it up. Budgeting is key. Gary Weiner recently posted…Supermarket savings: Should you shop the dollar stores? Agreed Gary. We rebuild ours immediately once we use funds from it. Depending on the level of emergency (how much we removed) that may take a couple of months. Thanks for the comment! We have an emergency fund and needed to use it when my husbands variable income took a hit during Q1 this year. I was so thankful to have it, but I was still stressed, so much so that now I’ve decided to increase my cash emergency fund from 10K to 15K. I may take a long time to increase it, but I’m gonna try. I don’t see anything wrong with that if it makes you more comfortable. That’s a big part of what the E-fund is for…the peace of mind. That’s the ticket! Got to keep that debt away. I love my emergency fund! We add to it every month then occasionally transfer some of it to investments, home repairs, etc. I couldn’t sleep without knowing that I had the money to take care of emergencies. “…transfer some of it to investments…” That’s a good plan Holly. After awhile, you don’t need anymore in the fund and the overage can go elsewhere.